Keep your important announcements secured by ordering the Enclosed Bulletin Board! Has your school received an important notice issued by the Department of Education and you do not have a secure posting surface to display the announcement? 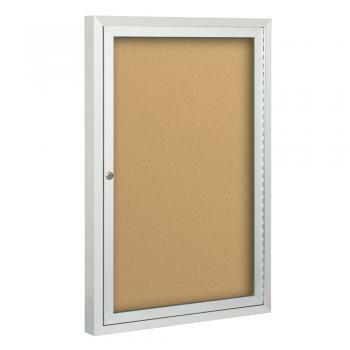 The Enclosed Bulletin Board has 3/16-inch thick tempered safety glass that absorbs physical punishment. You simply slide the doors closed or allow the doors to automatically close if you decide to order the model built with piano-hinges. The Enclosed Bulletin Board has a tamper-proof tumbler pin lock that provides you with the type of security that your important documents deserve. Our 2-inch deep design allows you to hang virtually any size announcement or notice. 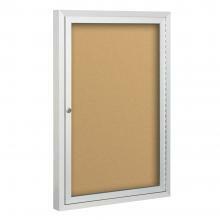 Heavy gauge anodized aluminum trim stabilizes the posting surface against a wall.